One of the most noticeable signs of aging is skin laxity that makes us appear older than our chronological age. The BTL Exilis Ultra system allows us to set the radiofrequency device for fat destruction with skin tightening or just skin tightening. For non-surgical body sculpting, we will often combine this treatment with TruSculpt 3D to maximize fat reduction with smoothing and tightening. What is the BTL Exilis Ultra? Crafted with radiofrequency and ultrasound technologies, this non-invasive system is able to provide a comfortable treatment experience without compromising efficiency. In the past, the only true option was Ultherapy—which can be incredibly painful. As skin care doctors and aesthetic professionals, we routinely test and have demo sessions as part of our research when considering a technology. None of us was willing to demo Ultherapy, even though we know it is effective. Exilis Ultra is equally effective without the pain! 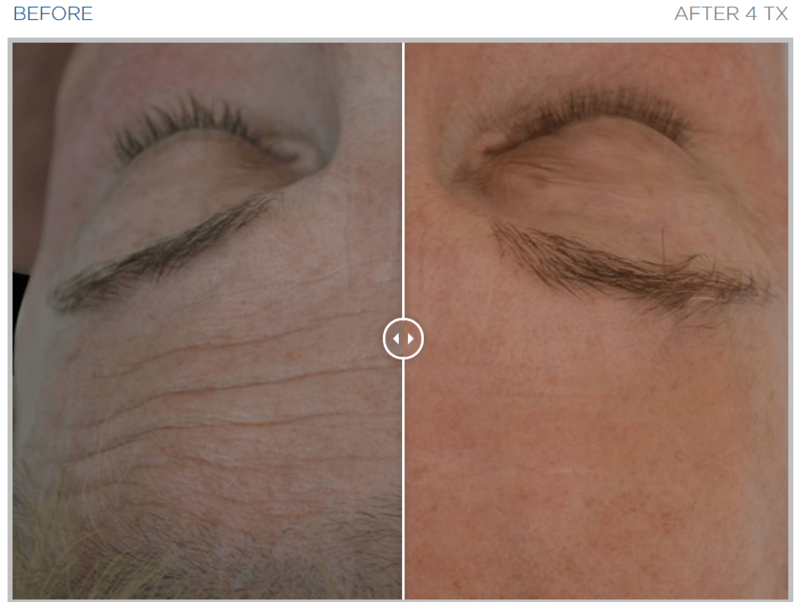 How Does the BTL Exilis Ultra Tighten Skin? Using a specifically designed handpiece for either face or larger body areas, this system delivers radiofrequency and ultrasound energy simultaneously to the deeper layers of skin. The body responds to this exposure by stimulating blood circulation and collagen production. As collagen is the primary structural protein in skin, the BTL Exilis Ultra ultimately leads to tighter skin. We recommend 3-4 treatments, but improvements continue long after the treatment has been performed. RejuvaWell in Austin is determined to provide you with an exceptional skin tightening experience through the BTL Exilis Ultra. Our experts are dedicated to ensuring you are well informed of treatment options and that your concerns and needs are addressed before, during, and after your appointment. Contact us today to schedule your consultation and find out if this procedure is right for you!